Killamarsh Silver Prize Band at Rememberance Day Parade late 1950s. See note below. Photo copyright of David Brookfield. Has any body still have any photos of Reg Severn my grandfather is so I would appreciate some of the phots. David if I remember right you use to live in Norwood like I did until I went to sea in 1962,now live in Northern Ireland. 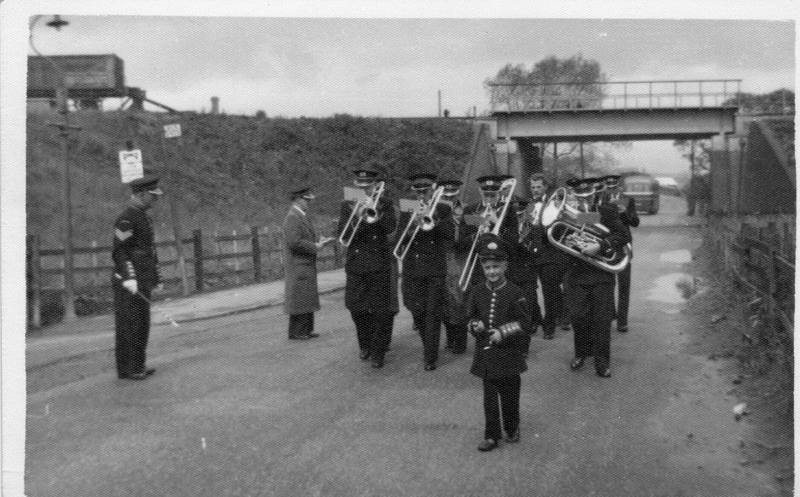 Killamarsh Silver Prize Band on Rememberance Day Parade in the late 1950s. David Brookfield is the mascot and Mr Maloney (first left) and Johnny Shimwell (second left).